Seriously, can a pancake recipe get any easier than this and NOT be from a box? Win-win for sure! 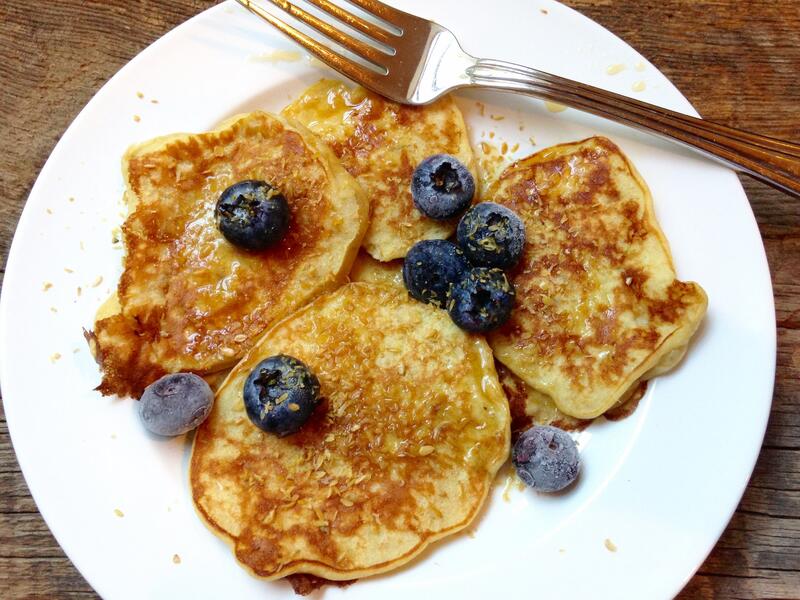 As I said, these are not your typical pancakes, so don’t expect them to taste like regular ones. With that said, they are still good. The texture and taste kind of remind me of the sweet, eggy-inside of french toast. They are denser, and not as fluffy or billowy like the boxed version. 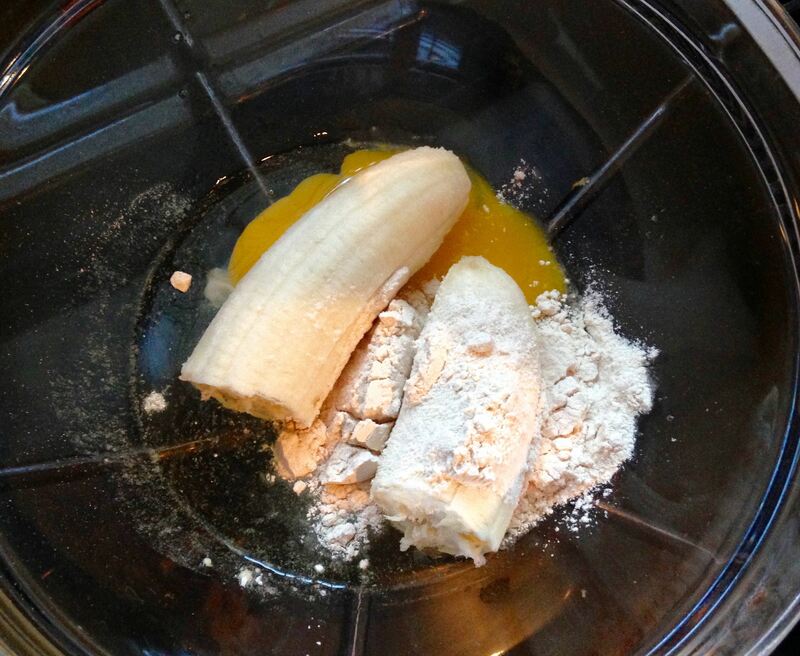 Combine banana, flour and egg. Make sure the banana is completely mashed. Heat a griddle to medium-high with a little coconut oil (it’s a much healthier option than vegetable oil) and cook pancakes for about 2 minute on each side. Top with fresh blueberries, flaxseed, and pure maple syrup, if desired. These three-ingredient pancakes also get the stamp of “kid-approved”. While they aren’t Harper’s favorite pancake recipe (these banana protein pancakes are her favorite), she still enjoyed them. 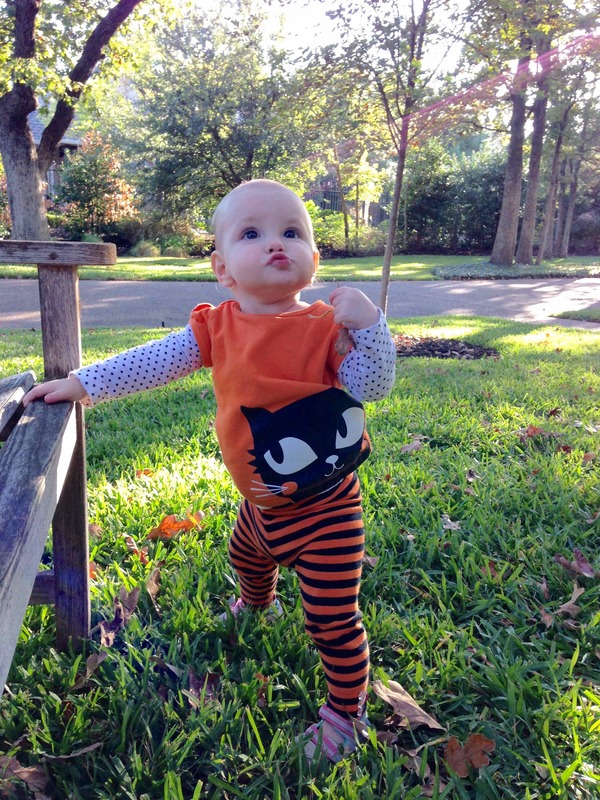 Harper taking in the pretty fall weather. Mash banana with a fork until smooth. Add flour and egg; stir well with a whisk. Heat a few teaspoons of coconut oil in a large skillet or griddle over medium-high heat. Spoon pancake batter onto skillet, using one third of batter for each pancake. Cook 2 minutes or until tops are covered with bubbles and edges look cooked. 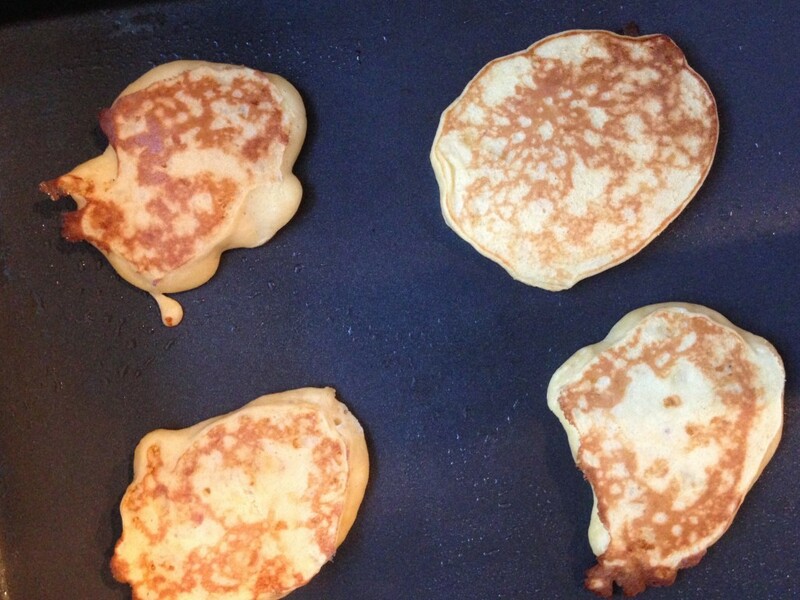 Carefully turn pancakes over; cook 1 to 2 minutes or until bottoms are lightly browned.